Copyright © 2003 Scott L. Ritchie - This image is copyrighted. Unauthorized reproduction prohibited. 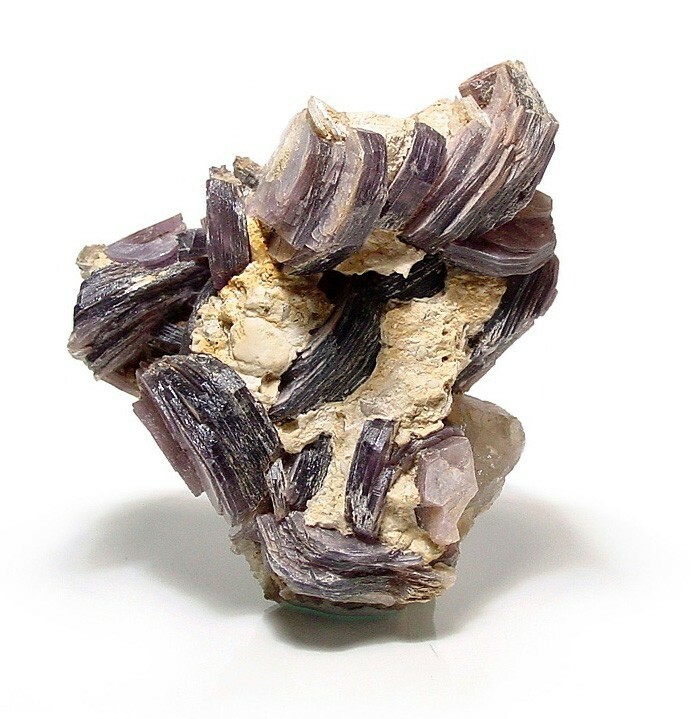 A natural cluster of deep purple lepidolite crystals on albite with quartz; from the Little Three mine near Hatfield Creek, Ramona, San Diego County, California, USA. Specimen measures approximately 111x106x63mm. Courtesy Pala International.